Since early July, Muslims from around the world have been arriving in Saudi Arabia for the hajj, the annual Islamic pilgrimage to Mecca and one of the world’s largest recurring mass gatherings. Along with the pilgrims arriving from over 180 countries—an estimated 2 million by the time the annual ritual ends in late August—are 25,000 health workers to monitor their health. In recent years, infectious disease outbreaks have spiked because of civil unrest, conflict and mass migration across the Middle East and North Africa. “Wars, and the chaos they leave behind, often provide the optimal conditions for the growth and re-emergence of communicable diseases,” wrote Rasha Raslan of the American University of Beirut in a 2017 article published in Frontiers in Public Health. In Syria, for instance, the ­seven-year civil war has caused the public health system to collapse. Hospitals and clinics have been destroyed, medical staffers have fled, and medications such as antibiotics, anti-inflammatory drugs and even intravenous fluids are in short supply. Childhood immunization programs have come to a halt, and a breakdown of sewage systems and a lack of access to clean water have given rise to simultaneous outbreaks of tuberculosis, cutaneous leishmaniasis, rabies, hepatitis, enterovirus, shigella, salmonella, upper respiratory tract infections, and epidemics of influenza. In Syria, Iraq and South Sudan, once-eradicated or near-eradicated and vaccine-preventable diseases, such as polio and measles, have re-emerged. Yemen and Somalia recently witnessed the deadliest cholera outbreaks in recent history, according to the World Health Organization (WHO). These conflict-prone environments have given rise to some uncommon diseases as well. Villages destroyed by firefights and airstrikes have become breeding grounds for insects and stray animals, which leads to increased transmission of diseases such as leishmaniasis, rabies and scabies. Diseases like brucellosis, toxoplasmosis, meningitis and listeriosis also tend to rise because of food and water contamination. In recent conflicts, humanitarian aid organizations have had extremely limited access to afflicted regions, which makes it difficult to fully understand the scope of the problems. “In view of the disruption of public health systems in conflicted regions and countries, mass gathering events [offer] one-stop sentinel surveillance and public health interventions,” according to a recent commentary in The Lancet by authors including former Saudi Deputy Health Minister Ziad Memish. Memish is considered a pioneer of mass medicine—he founded the WHO Collaborating Center for Mass Gatherings Medicine in 2012—and Saudi Arabia is credited with formalizing the specialty. Over the years, the Saudi government has received input and technical assistance from the U.S. Centers for Disease Control and Prevention, the WHO and other public health agencies. And, says Memish, Saudi Arabia is directing and funding the public health effort at the hajj. The 25,000 health care workers are deploying throughout eastern Saudi Arabia to treat sick pilgrims as well as collect epidemiological data and, in some cases, biological samples. Health inspectors, nursing staff, public health experts and physicians will maintain checkpoints at each of Saudi Arabia’s 13 land, air or sea entry ports. The teams will check pilgrims’ immunization records and administer prophylactic medication and polio vaccinations as needed. During the hajj, hundreds of mobile surveillance teams, consisting of trained clinicians, have traveled through temporary camps looking for individuals displaying symptoms of an infectious disease. In addition to permanent hospitals in Mecca and Medina, about 25 temporary hospitals and clinics with over 5,000 hospital beds are opened every year. 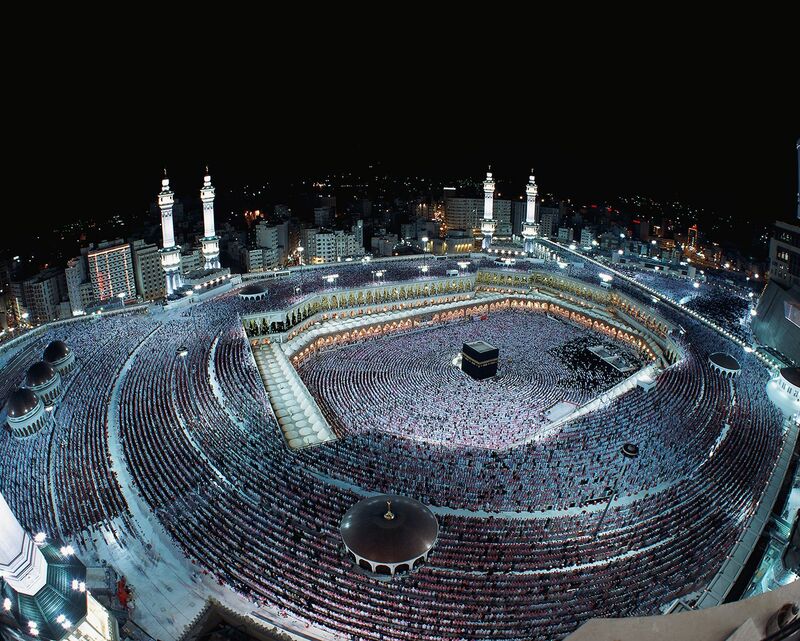 Through these combined efforts, Memish estimates that robust epidemiological data will be collected for approximately 60 percent of those attending hajj, with all data sent to a command center for real-time surveillance and data analysis. Any surveillance data collected will be published and shared with the WHO and broader global health community. The research is invaluable: It will inform ongoing humanitarian interventions and international health security efforts, as well as insight into new or emerging pathogens, which may help the global health community prevent pandemic-level outbreaks. Understanding what types of diseases are prevalent in a country will allow health workers to more precisely prepare medical stockpiles and treat populations. In the past, hajj research studies examined the presence of drug-­resistant pathogens, providing critical information about disease transmission patterns. Because Saudi Arabia’s Ministry of Health cannot continue monitoring pilgrims once they return to their home countries, it is not clear how diseases are transmitted during their trip, though public health researchers recognize that pilgrims, especially those who are immuno-­compromised, are at greater risk to contract an infectious disease because of the high population density and close social interaction.